Your Ring Alarm kit only came with one motion detector, but chances are you've got more than one room in your home you want to monitor. Add additional motion detectors and get real-time security alerts on your mobile device whenever motion is detected indoors. Whether you're asleep upstairs or away on vacation, you'll be able to see which detector was triggered in the Ring mobile app. Depending on your system settings, motion can also trigger an alarm siren from your base station. That blaring siren might be enough to scare off an intruder, but if you have a Ring Protect Plus plan, you'll also have 24/7 backup. The monitoring center will contact you when a motion detector is triggered. If they can't reach you or the other listed emergency contacts, they will dispatch emergency responders to your address. 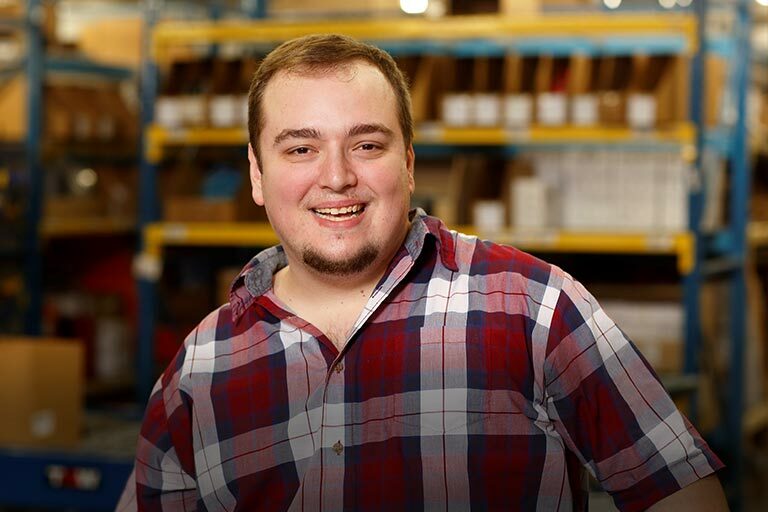 Motion detectors use passive infrared scanning to detect changes in temperature. The idea, of course, is that the warm body of an intruder will trigger the alarm. But what about your pets? 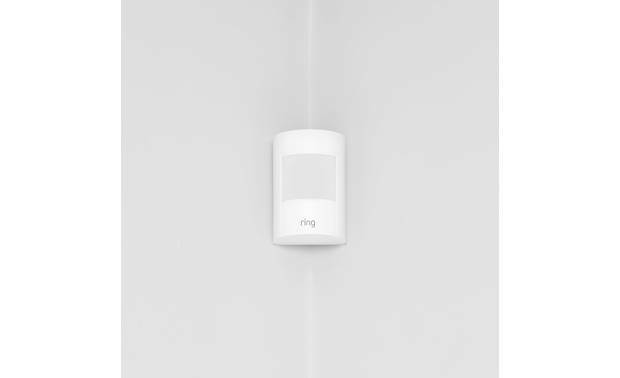 Ring has included a sensitivity slider so that you can find the point at which your cat or small dog no longer triggers the alarm. 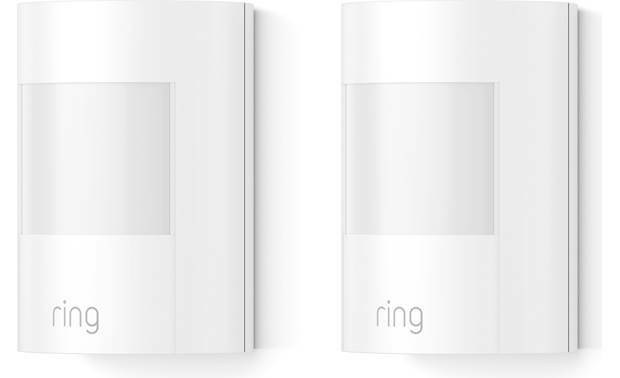 Overview: The Ring Alarm Motion Detector keeps an eye on your home while you're away. Whenever motion is detected inside your home, you get an alert on your mobile device through the Ring App. The Motion Detector wirelessly connects to the Base Station via Z-Wave, which has a 250' range. Add Motion Detectors to every room to blanket your home with protection from intruders. The Motion Detector works only with the Ring Alarm Security System. Note: This package includes two Ring Alarm Motion Detectors. Mounting: The detector mounts to virtually any flat wall or corner in your home. In a room corner, the included mounting bracket attaches with screws and wall anchors or strong 2-sided tape. On a flat wall, you can mount the detector with or without the bracket, using the included screws or 2-sided tape. Motion Sensitivity: The Ring Alarm motion detector uses Passive Infrared Sensors (PIR) to scan the room. When a warm body passes through the detector's field of view, the change in the heat triggers an alert. The "pet friendly" sensors used in the Ring Motion Detector are calibrated to ignore heat sources from animals 33 pounds and under (under the default setting), resulting in fewer false alerts. You can adjust the sensitivity control in the Device Profile menu of the Ring app or web portal to fine tune the Motion Detector to your household. Power Requirements: The Motion Detector is powered by a 3-volt CR123 Lithium battery. The battery is user replaceable. Searches related to the Ring Motion Detector Detects motion inside your home.